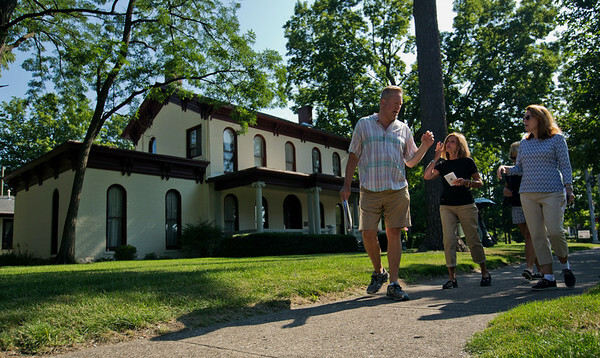 Steve Gruber leads a small group past the Havilah Beardsley House in Elkhart during his Kings of the Hill Tour Wednesday morning in Elkhart. The 45 minute long walking tour covered approximately half a mile and made 11 stops. Gruber spent the tour talking about the well-known families of Elkhart around the turn of the 20th century.